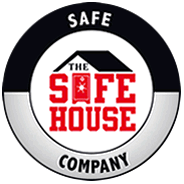 Selecting the Best Gun Safe Dehumidifier is easy for the Nashville Safe House. 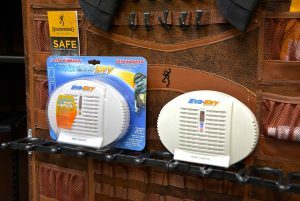 For over 22 years offering the largest selection of Gun Safes and Security Safes in the country, our customers have been telling us for years which gun safe dehumidifiers work best. Here’s what thousands of gun safe owners have shared with us about their own experiences using gun safe dehumidifiers to protect their guns and ammo. 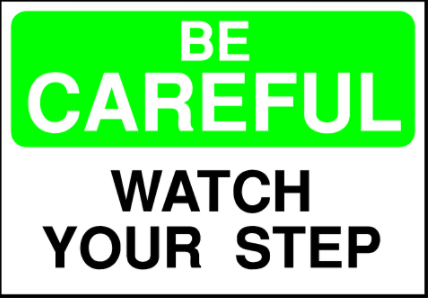 One of the most important accessories that you can purchase for you safe is a dehumidifier. Dehumidifiers come in different forms. 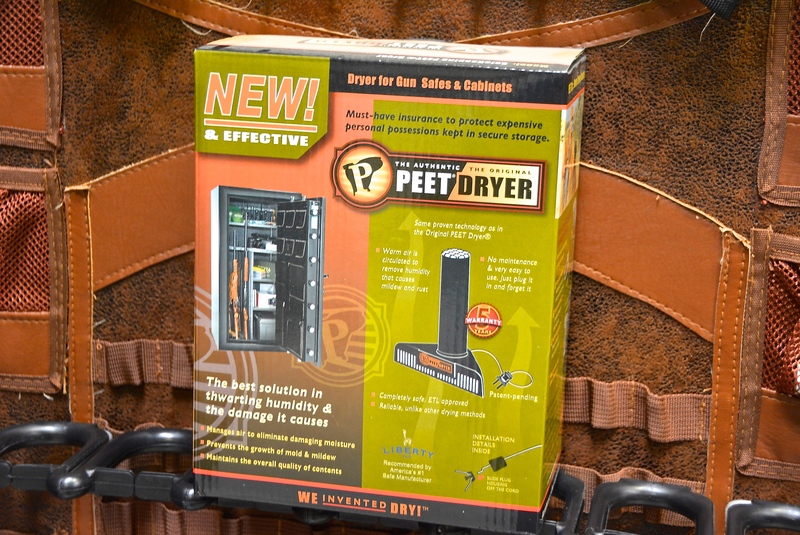 First is a metal bar that heats up and controls the moisture in your safe. 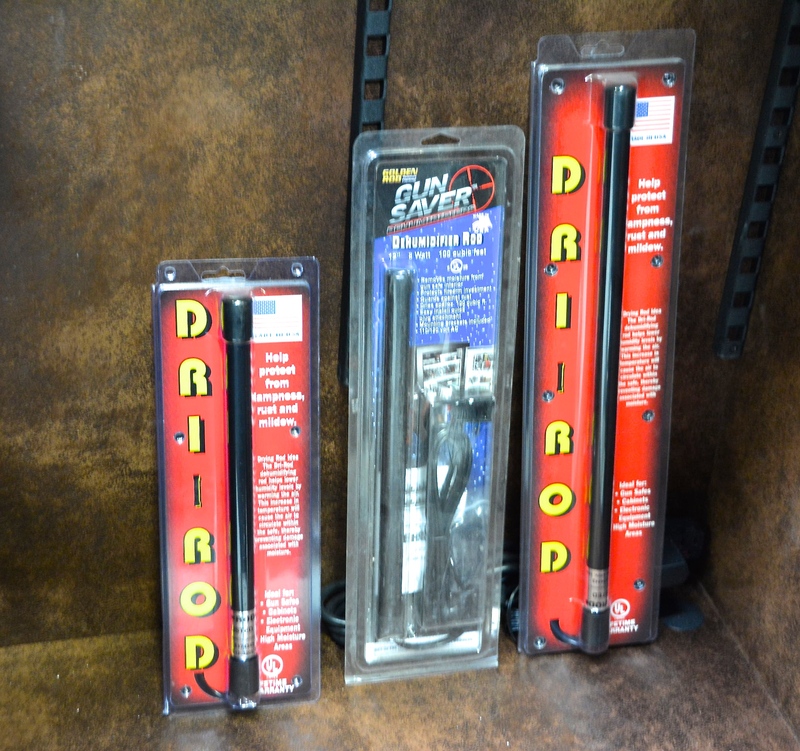 A few different brand names are , Dri Rod, GoldenRod, Safe Saver, and the Browning Ever Dry. 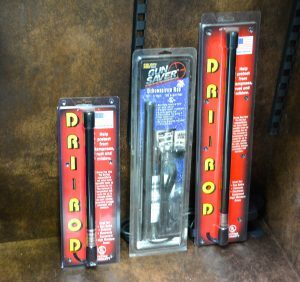 This product works by slowly heating the temperature of the air inside the safe to between 100 – 150 degrees F. The process of heating the air is intended to keep moisture from collecting on the items in your safe. It also heats up the contents like the metal on your guns and makes it more difficult for moisture to collect on the metal of your guns. Many gun owners have been happy with this method for years. 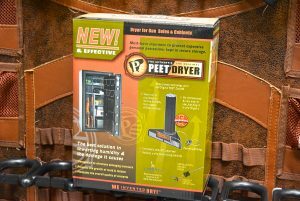 If you have a tougher moisture problem in your safe we recommend the PEET Dryer , This product works similar to the metal bar heating system but moves the heated air around at a much higher rate. It works up to a 80 cubic foot safe or cabinet and only uses 15 watts of electricity. The second type of Dehumidifier is a product that absorbs moisture and holds it in a container until reactivated or removed from the safe. This type of product ranges from simple desiccate bags to metal or plastic units that can be heated to release the moisture and then reused in the safe again multiple times. The most popular name brand of this type product is the EVA DRY dehumidifier and they come in a E333 or E500 model. This product absoYou can use multiple units in a safe to control higher levels of humidity. The biggest advantage of this type of product is that it is not powered and sits in the safe until if needs to be reactivated , the only drawback is that you must make sure to reactive the unit when it becomes saturated with moisture. For severe moisture problems there are powered units that actively extract moisture from the air. These units are powered and need a power source to operate. The EVA DRY PDV 1100. This entry was posted in Uncategorized on August 23, 2017 by Ron Beagle.